Some of my friends were asking me about Chia Seeds and what’s the hype about it. 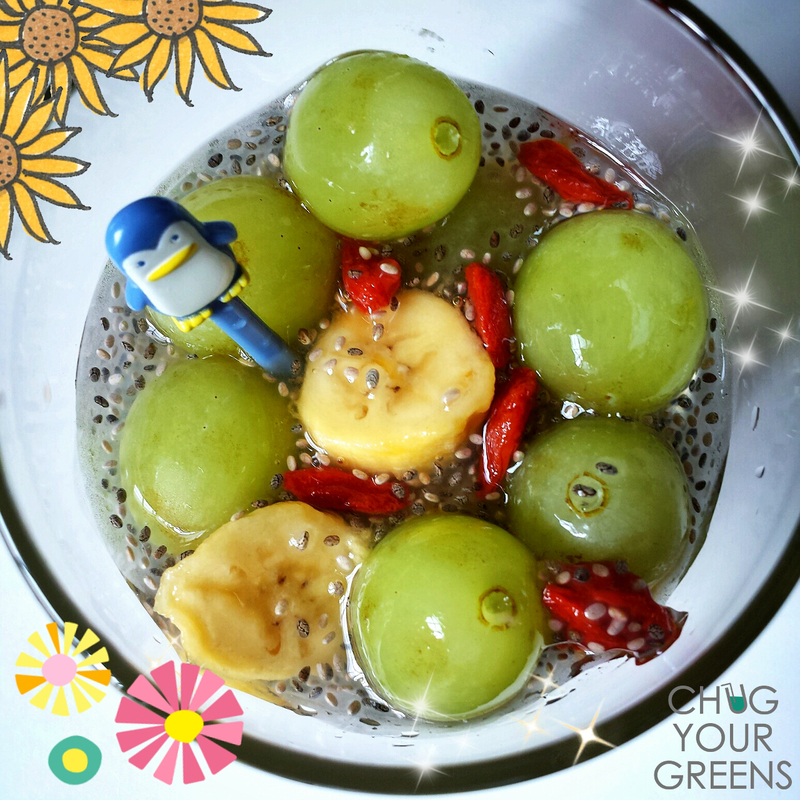 It was only recently, when I started blending my greens, that I realised I could add Chia Seeds into my drinks too! So… I thought it would be interesting to share some information about Chia Seeds with everyone here. come in black or white, but do not differ in taste or nutrients regardless of colours. So, you asked… What can I do with them? Chia Seeds can be added to your Green smoothies for extra nutrition and are also great for thickening your blends. Try sprinkling them on your salads or oatmeal so you feel satieted. Top your gelato or yoghurt with Chia Seeds for that extra texture. You can also bake your muffins or cookies with Chia seeds. 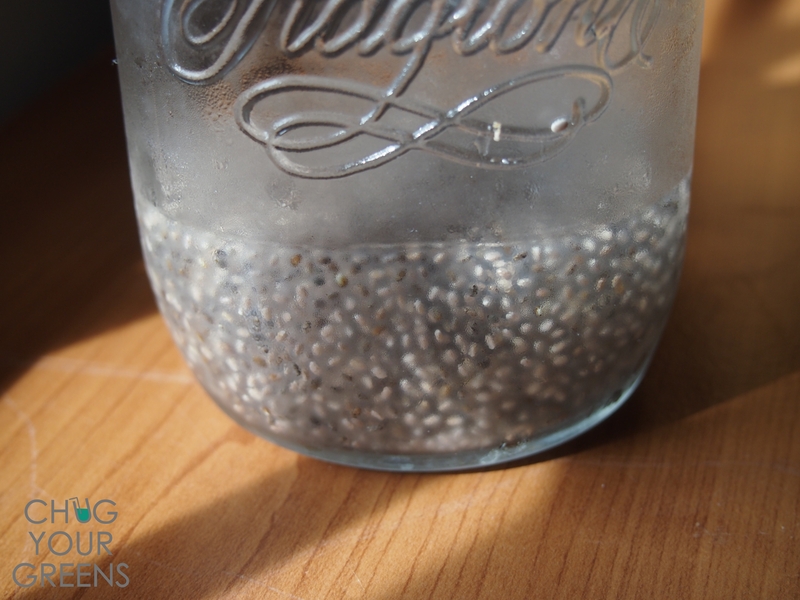 Some endurance athletes soak Chia Seeds in their water and drink them for sustainable energy and hydration. 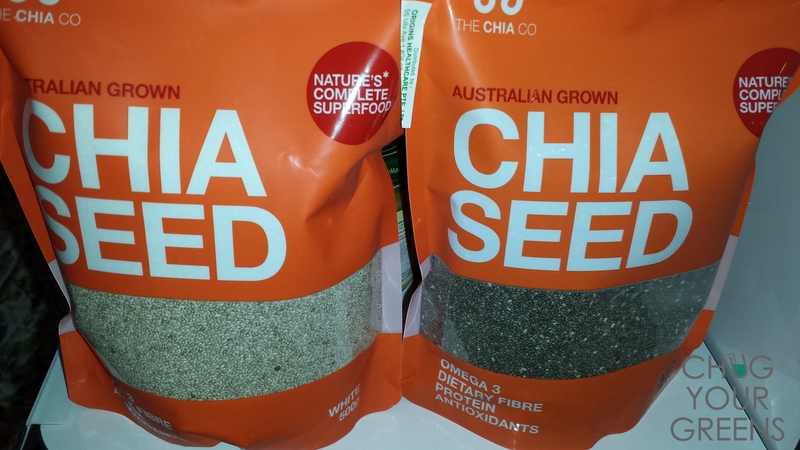 This article has more detailed information if you want to know more about Chia Seeds. 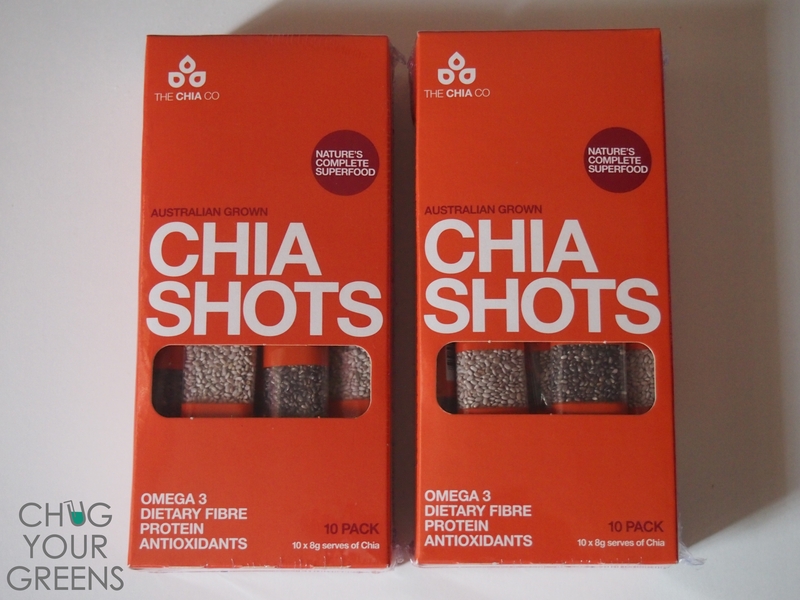 It also mentioned that the word Chia comes from Mayan word chiabaan, for “strengthening,” or the Aztec word chian, for “oily“… That’s interesting! 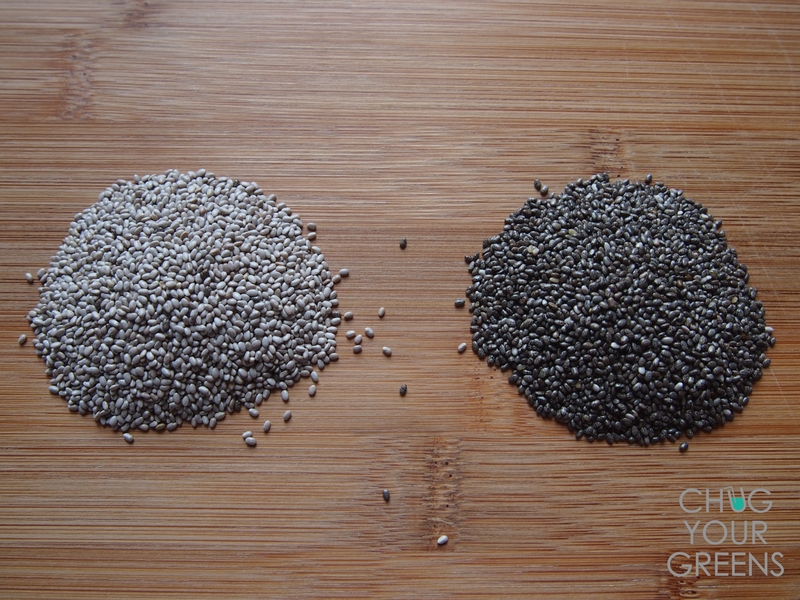 To date, there are no proven records that Chia Seeds can help treat or prevent any illness. But we do know that they are of such great nutritional values, and that is why it has been rather popular recently. And your next question will be… Where can I find them in Singapore? You can buy them from local hospital pharmacies (eg. CGH, SGH etc.) But try to call and find out if they have supplies before heading down. I have also seen some stocks available at Bedok NTUC Fairprice. I sliced a small banana, put in a few seedless grapes, added some Goji Berries, squeezed a lime in and drizzled them with these soaked Chia seeds that I had in my fridge. Sooooooo GOOD !!! It was definitely a perfect snack on a warm afternoon. 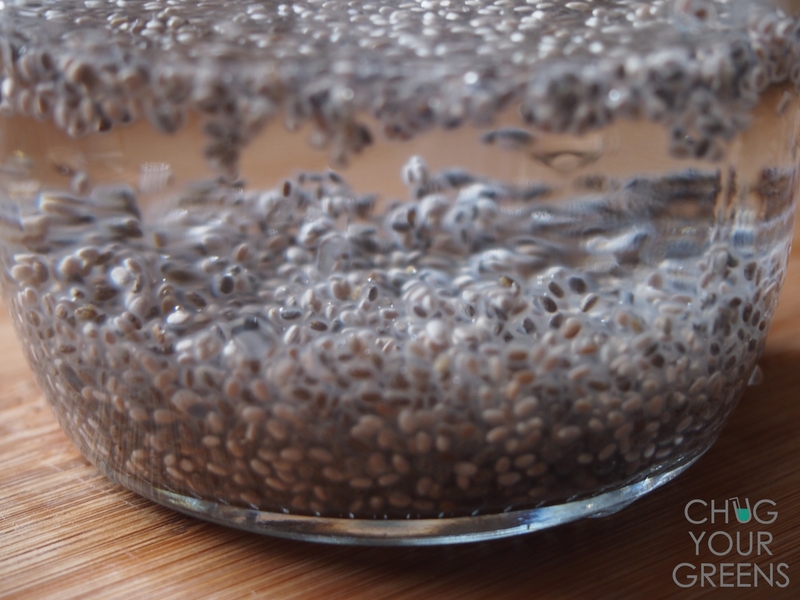 I love to drink Chia seeds – especially before a workout! They are filling and amazing! Great post!